There seems to be a lot speculation with regards to the NHL coming to Las Vegas if a new arena is constructed. These rumours were further escalated post the hockey-related announcements coming from Vegas on Thursday. 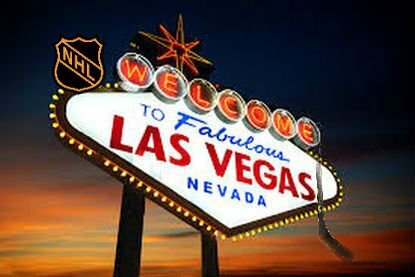 As per a Las Vegas Review-Journal report, the CFO of MGM Resorts International announced recently that the company has had preliminary meetings with an organization that is looking to get NHL hockey into Las Vegas. The operator of the casino would require tenants for the US arena (worth $350 million), being constructed on the Strip located behind New York. The expenses could be largely covered with the coming in of an NHL team. Dan D’Arrigo, Chief Financial Officer says that they would be happy to support an NHL team that plans to come to the new arena. There is high level of interest in such an association and they are already in talks with a group. There was no clarity from D’Arrigo’s side with regards to whether the group was planning to bring in an NHL team through expansion or move in an already existing franchise. Nothing was revealed about any conversations with the National Hockey League or NHL itself with respect to team coming to Vegas. The New York Post carried a report last week stating that William Foley is in the midst of an “advanced” conversation with the league with regards to taking over a team, while eyeing 2017-18. This would take place either through the potential shifting of the Arizona Coyotes or through expansion. However, the officials at Coyotes firmly affirm that the team is not planning to move anywhere. On the other hand Bill Daly, Deputy Commissioner, NHL stresses that there has been no mention of Foly in the internal discussion. At the same time, Commissioner Gary Bettman says that the addition of extra teams is not very likely. Bettman further added that the company is not prepared to formally execute an expansion project yet. MGM is an entertainment company involved in running hotels, casinos, organizing festivals, parties and so on.